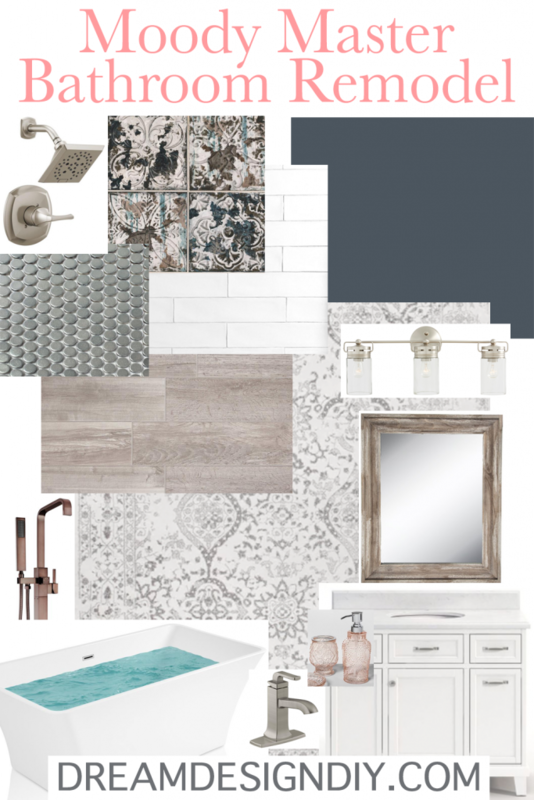 See the plans and vision board for the Moody master bathroom remodel. 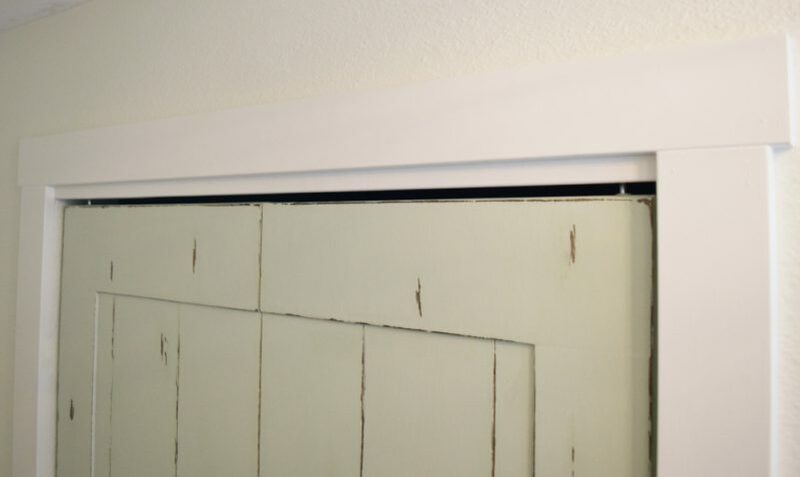 Welcome to week one of the One Room Challenge (ORC) for Spring 2019! 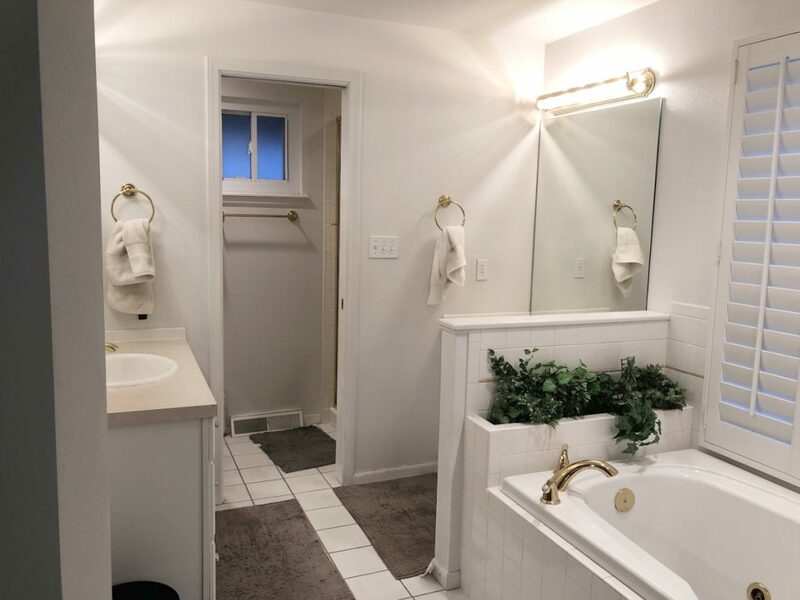 For this remodel I used the Master Bathroom Design and Decorating Worksheet from The Confident Designer ebook to help me with remodeling this space. This worksheet is very helpful for planning out the remodel. If you would like to also use this same worksheet plus get a sneak peek into The Confident Designer complete the form below. 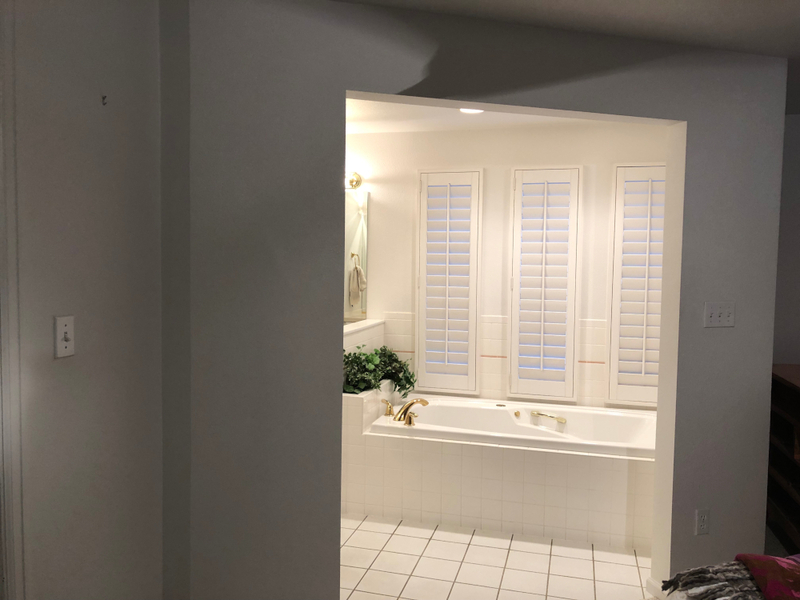 Let me show you where we are starting with the master bathroom remodel. Here are the before pics. 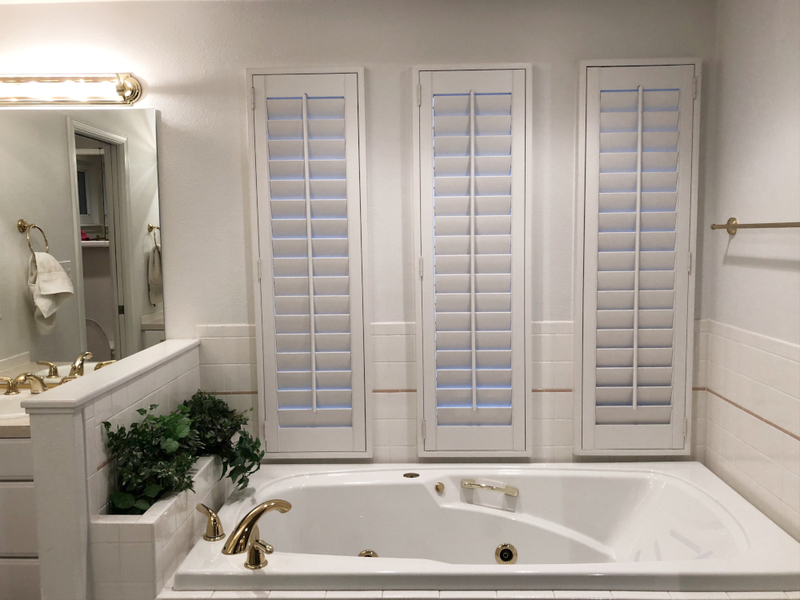 As you can see lots of white…white walls, white tile, white shutters, etc. 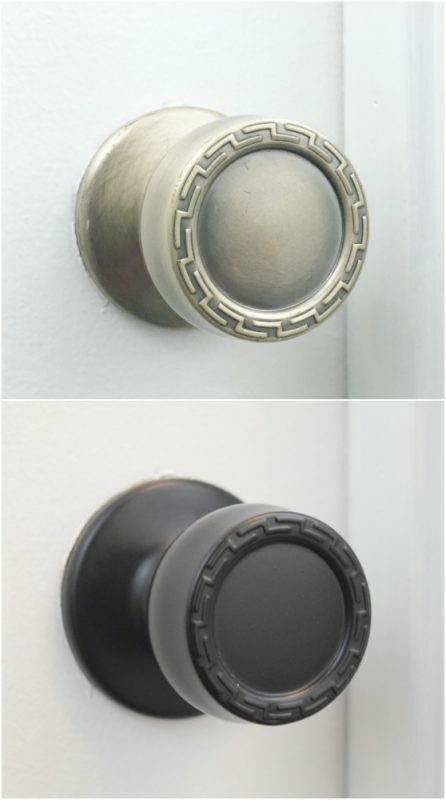 Also there are shiny gold fixtures and hardware. Time for an update. 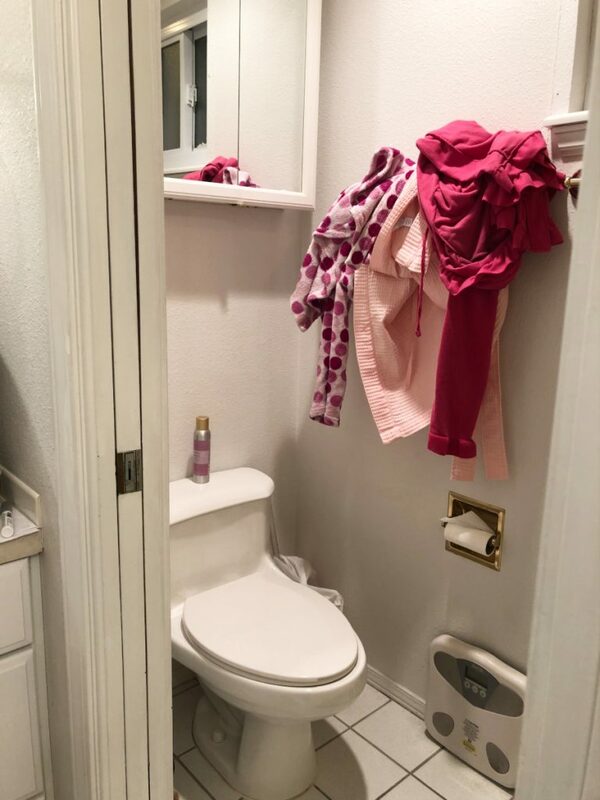 This is the water closet that is shared by the toilet and shower. Do you see my lovely robe hook? :lol: And more gold. 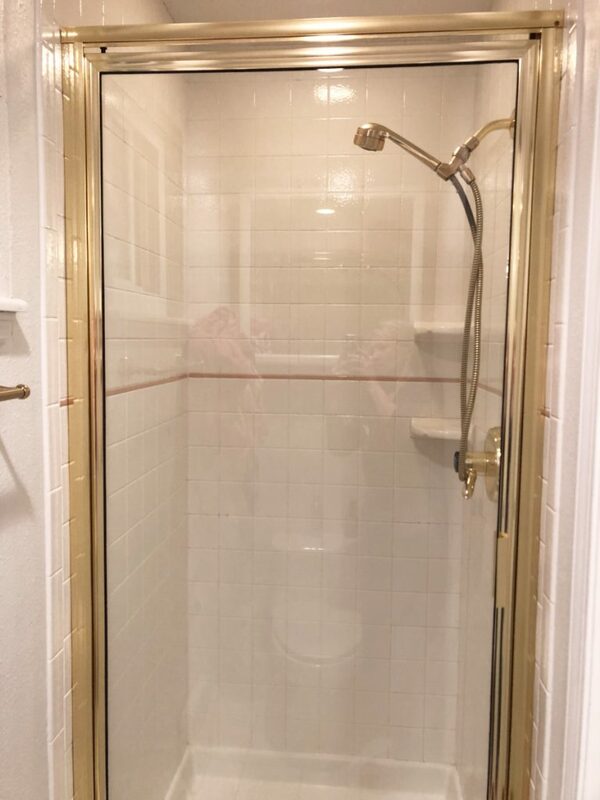 It was difficult to get a pic of the entire shower in the small space. This is the entrance to the bathroom. 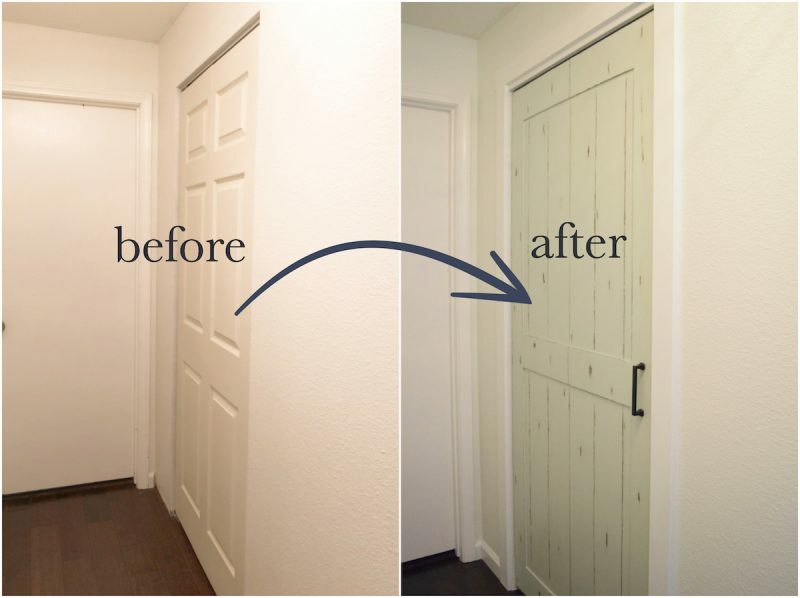 We plan to make the entrance smaller and add a double sliding barn door. Here is the vision board! *Source list and photo credits listed below. 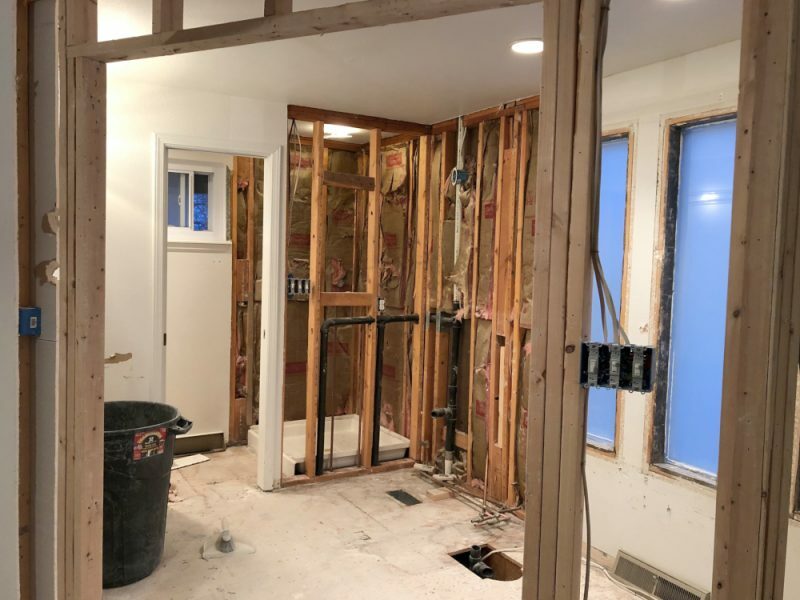 Since this is a remodel there will be a complete demo with rewiring electrical, reconfiguring plumbing, installing drywall and finishing with the standard bathroom elements, and cosmetics. Stay tuned next week with more updates.